DKSH Vietnam has been recognized as one of the top-100 places to work in Vietnam by Anphabe. The award acknowledges DKSH’s commitment to building an outstanding working environment for its people. 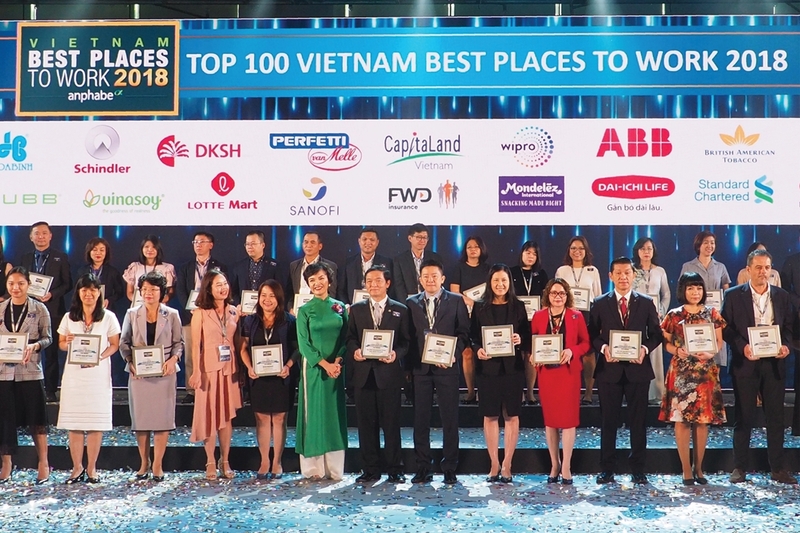 Vietnam, April 15, 2019 - DKSH Vietnam, the leading Market Expansion Services provider in Vietnam, ranks as one of the top-100 "Vietnam Best Places To Work." Annually organized by the employer brand consultancy Anphabe with advice from the leading market research company, Intage Vietnam, the survey is an influential and highly anticipated source of workforce and workplace trends in Vietnam. The method is based on several criteria such as company culture and values, leadership, work environment, company reputation, career development, compensation and benefits. DKSH Vietnam ranks in the highest positions in its field of activity – including #5 in Transportation & Logistics, #6 in Healthcare and #15 in Consumer Goods. Being awarded as one of the best places to work for in Vietnam is a great recognition of the investment that DKSH Vietnam has made in its workforce. The company offers a dynamic growth environment and a unique work culture.